Performance, Durability, Efficiency: Making 150 horsepower is easy for this 3.0-liter, four-cylinder, single-overhead-cam engine. Its generous displacement lets it churn out power without breaking a sweat. You get exceptional durability and long-term peace of mind. Compact and Versatile: It’s the lightest 150hp four-stroke outboard on the market. Smart design makes the 150hp Mercury FourStroke nearly 20 pounds lighter than its closest four-stroke competitor, and less than a battery weight heavier than a two-stroke. Potential uses for this engine are endless, including bay boats, boats with poling platforms and pontoons with swim platforms. Propped to Perform: The Mercury Enertia® propeller is the perfect complement to the 150 FourStroke. 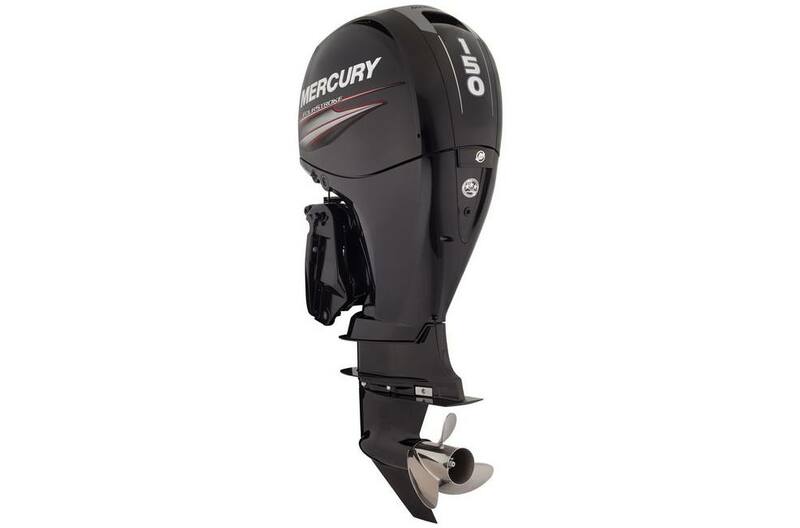 Designed specifically for large four-stroke outboards with a revolutionary low-diameter/high-blade-area design and cast with the Mercury proprietary X7® propeller alloy, Enertia delivers phenomenal acceleration, top speed and durability. Easy to Maintain: Rather do it yourself? 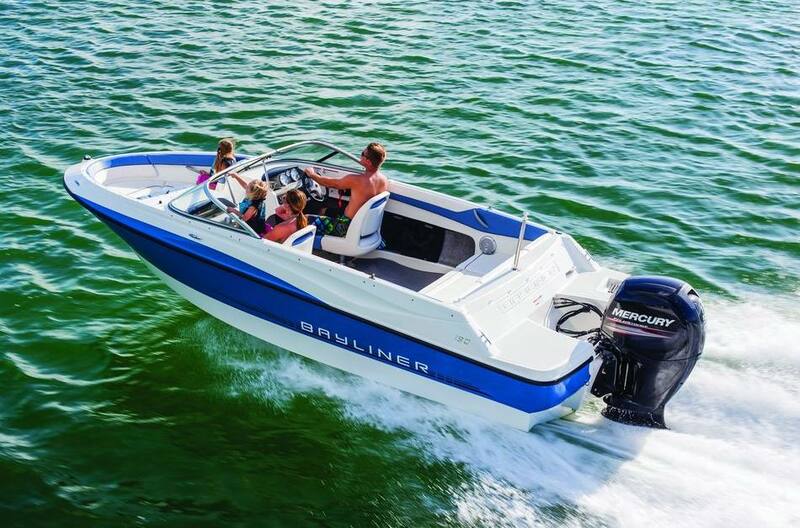 The no-spill oil-change system, an easy-access fuel filter and a lifetime maintenance-free valve train make the Mercury 150 FourStroke the easiest-to-maintain 150hp four-stroke on the market. Scan a QR code under the cowl to link with step-by-step video demonstrations. Perfect for Repower: The compact, lightweight design of the Mercury® 150hp FourStroke engine fits most transoms, including those with narrow engine wells and tight motor spacing. Rig it with mechanical or hydraulic steering, mechanical control and cable systems, and a full complement of analog or SmartCraft® gauges.